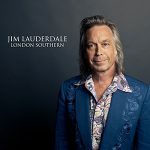 Award winning singer and master songwriter Jim Lauderdale releases a striking new studio album London Southern on February 3 2017. Himself recipient of the Wagonmaster Award at this year’s US Americana Honors & Awards, a special lifetime achievement honour reserved for the most valuable contributors to the course and history of the format presented to him by George Strait, Jim has been invited to present an award at the second UK Americana Awards in London next February. "Making London Southern was my first time recording in the London area. It’s something I had wanted to do for a long time, but more important was getting to work with Nick Lowe's band and with his co- producers Neil Brockbank and Bobby Irwin. I had been such a huge fan of Nicks and was able to be his support act back at different times in ‘94 and ‘95 which was a huge break for me. So fast forward 20 years later and this record came together. We recorded over several sessions at the Goldstar Studios in Balham. In my opinion Neil Brockbank is one of the best producers, engineers, and mixers out there. Period. Tragically, Bobby Irwin has passed away and I dedicate this record to his memory. He was well loved by his friends and family and is terribly missed. Some of the songs for the first session were written or started in Glasgow, Liverpool, or London after gigs in the few days before starting. Back in the States, before going back for second rounds of sessions, I wrote with new co writers John Oates (If I Can't Resist, Different Kind Of Groove) and Dan Penn (Don't Shut Me Down, What Have You Got To Lose). Neil got me to add strings to "I Love You More" which I had never tried before. He had great ideas and made this a different sounding record than I had ever gotten to make. It was a real pleasure and inspiration to play with the musicians and some of the songs were written during the recording. Ready for more."